Last year’s E3 was one of the poorest on record for Nintendo. Such was the anger and apathy of their most ardent fans, even the mainstream press caught on and deemed the show a failure. The software drought in the latter half of 2008 only compounded matters. This year software support has clearly improved, so if Nintendo really want to capitalize on it, here’s a few things they should consider for this year’s E3. At last year’s E3, there was the strong feeling that Nintendo had spent too much time courting the attention of the expanded audience while effectively ignoring traditional gamers. The primary focus of their presentation were titles like Wii Music, Animal Crossing: City Folk and Wii Sports Resort. Of these, it was only the MotionPlus compatible Wii Sports Resort that resonated with Nintendo’s traditional audience, while Wii Music and Animal Crossing were quite rightly mocked as outdated. It is difficult to gauge exactly how much of this was intentional on Nintendo’s part, or whether it was down to the company simply not having any software ready to demonstrate. At this year’s E3 they must have a better balance and show a range of software that appeals to their entire audience. There can be no excuses – third party support has never been better, and Nintendo’s own teams like Retro Studios have been hard at work on mystery projects for a while now. The wide coverage of E3 will mean that Nintendo will never be able to completely forget the expanded audience, but to ignore their most vocal fans for a second time would be an enormous mistake. Wii Music was a tough sell from the very beginning, but it certainly didn’t help that the title was unveiled by a sheepish looking Shigeru Miyamoto accompanied by four other equally embarrassed looking people who didn’t look at all comfortable on stage. Cammie Dunaway’s demonstration of Shaun White Snowboarding was also a low-light. It’s difficult to understand why Nintendo have trouble demonstrating their games when their advertising for those same games is so effective. 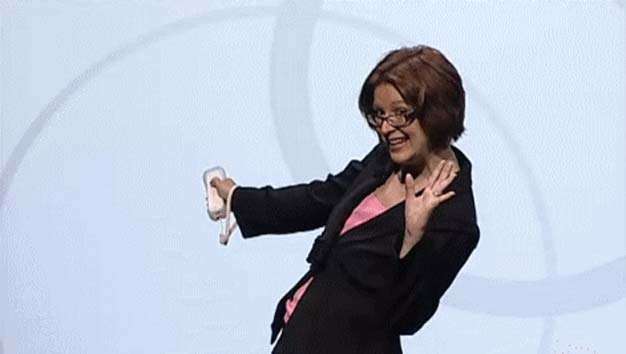 If they really want to improve their often awkward appearances on stage, all they have to do is capture some of that same comical and effortless atmosphere they create so effectively in their Wii would like to play adverts, where in-game footage is combined with candid views of the gamer. MotionPlus is one of the biggest things to happen to gaming for a long time. So far, many gamers have found it easy to dismiss the Wii by stating that the Wii Remote simply was not as accurate and revolutionary as it initially seemed. But with the arrival of MotionPlus, all that could and should change. Will those same gamers who have so far resisted the Wii’s charm be able to say no to 1:1 controls in tennis, golf, and sword play? If Nintendo and third parties play it right, MotionPlus could be the catalyst that ecourages large swathes of 360 and PS3 gamers to give the Wii a second look. Though that’s only if MotionPlus can be shown as more than just a toy that allows you to play frisbee with an adorable puppy.